Very good value and keeps you drier than separate jackets and trousers. A little heavy and difficult to pack in the attached storage bag, but keeps you dry in really heavy downpours. Easy enough to get on and off. Could be easier to get on over boots but then I do have big feet. Great product. Get your normal size as they're quite big anyway. I have recently completed a trip to south western France. 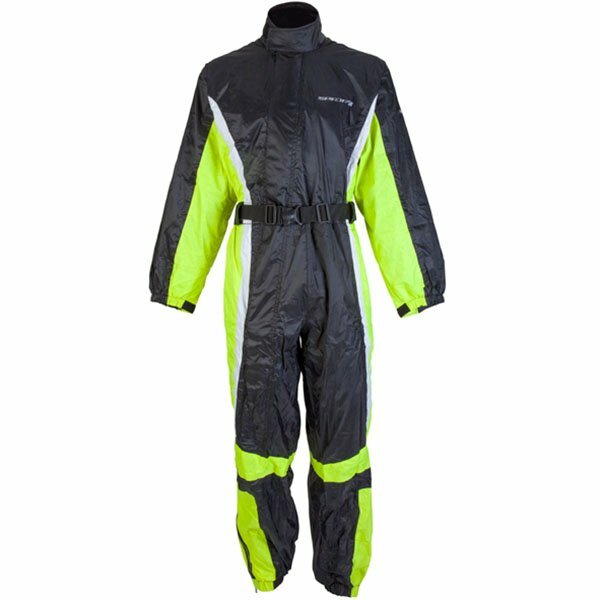 I purchased the Spada 408 oversuit on last minute decision prior to the trip due to the predictably unpredictable summer weather this year...best decision I ever made. I rode through 2 hours of torrential rain in the suit and I was kept safe, warm and totally dry and I was still able to enjoy the journey despite the weather. 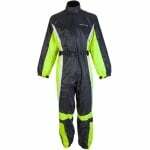 The quality of the suit is excellent and definitely 'fit for purpose' the delivery from Sportsbikeshop was as promised, next working day. I would definitely recommend the product and the supplier. Very good quality water and wind proof. Comfy to wear over normal bike gear.